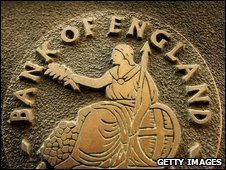 The Bank of England's Monetary Policy Committee today voted to reduce the official Bank Rate paid on commercial bank reserves by 0.5 percentage points to 0.5%, and to undertake a programme of asset purchases of £75 billion financed by the issuance of central bank reserves. World activity continued to weaken, reflecting both depressed confidence and the persistent problems in international credit markets. In the United Kingdom, output dropped sharply in the fourth quarter of 2008. That reflected lower consumer spending, a further fall in business investment and a rapid run-down in stocks, in part offset by stronger net exports as the past depreciation of sterling began to take effect. Business surveys continue to point to a similar rate of contraction in the early part of this year. Unemployment has risen markedly. Credit conditions faced by companies and households remain tight. CPI inflation declined to 3.0% in January. The depreciation of sterling is adding to imported cost pressures, but pay pressures continue to wane. Inflation is likely to fall below the 2% target by the second half of the year, reflecting diminishing contributions from retail energy and food prices and the impact of the temporary reduction in Value Added Tax. At its March meeting, the Committee noted that the February Inflation Report had implied a substantial risk of undershooting the 2% CPI inflation target in the medium term and that a further easing in monetary policy was likely to be needed. Data released since the finalisation of the Report had not materially altered that prospect. Accordingly, the Committee concluded that a further easing in the stance of monetary policy was warranted. But the Committee also noted that a very low level of Bank Rate could have counter-productive effects on the operation of some financial markets and on the lending capacity of the banking system. On balance, the Committee decided to reduce Bank Rate by 0.5 percentage points, to 0.5%. The Committee judged that this reduction in Bank Rate would by itself still leave a substantial risk of undershooting the 2% CPI inflation target in the medium term. Accordingly, the Committee also resolved to undertake further monetary actions, with the aim of boosting the supply of money and credit and thus raising the rate of growth of nominal spending to a level consistent with meeting the inflation target in the medium term. To that end, and noting the recent exchange of letters between the Governor and the Chancellor of the Exchequer concerning the use of the Asset Purchase Facility for monetary policy purposes, the Committee agreed that the Bank should, in the first instance, finance £75 billion of asset purchases by the issuance of central bank reserves. The Committee recognised that it might take up to three months to carry out this programme of purchases. Part of that sum would finance the Bank of England's programme of private sector asset purchases through the Asset Purchase Facility, intended to improve the functioning of corporate credit markets. But in order to meet the Committee's objective of total purchases of £75 billion, the Bank would also buy medium- and long-maturity conventional gilts in the secondary market. It is likely that the majority of the overall purchases by value over the next three months will be of gilts.